Easy to generate employee reports. 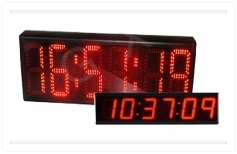 Large 4 and 8 inch high easy to read LED displays. Fitted in a robust aluminium case with easy to mount wall brackets. Infra red remote control for easy setup. The New TU-10 Fingerprint Clocking system incorporates one of the worlds best fingerprint technologies as well as an RFID card reader. With a full colour display and the ability to control external sounders for break times. 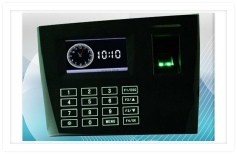 The TAU-600+ is one of our best selling biometric clocking machines. Incorporating one of the worlds best fingerprint scanning technologies and full network and USB memory stick support. Generate reports simply and easily. We pride ourselves in offering support for all of our products for the lifetime of our products at a very competitive price. Email and telephone support is provided and remote access when applicable. So rest assured that you are covered should you need us.